Song written by Zaine Griff. 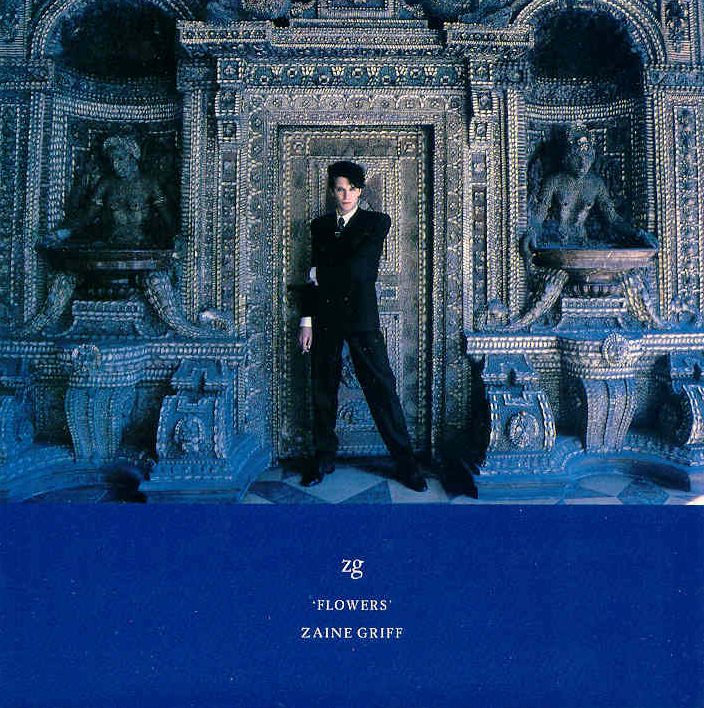 Released on Zaine Griff's second album 'Figures' (1982). The lyrics explicitly refer to the theatre play 'Flowers', written by Jean Genet and is meant to be a tribute to his old mime and movement teacher, Lindsay Kemp, who produced the play during the Seventies. Zaine asked Kate to sing backing vocals on this song, and she did. 'Flowers' was released as a 7" single in 1982. The B-side is 'Turn out the light', which is a non-album track by Zaine Griff.